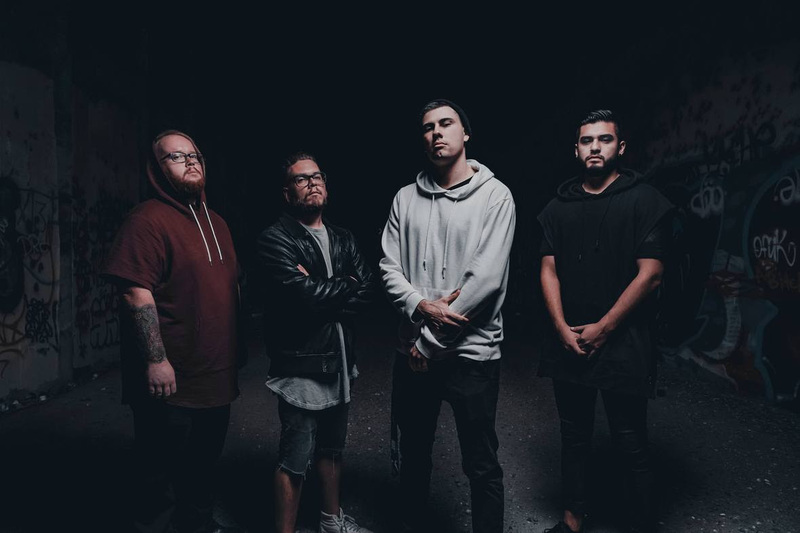 In this new occassion we have had the opportunity to interview the Metalcore band Illusive from USA. Check out the interview and this band on their FACEBOOK PAGE. 1.Where did you come up with the name Illusive? Our guitarist Mason came up with the name. We were looking for a name that didn't seem remotely convoluted, was big and important sounding, and also interesting in some way. It was always a one or two word name that really did it for us. We liked Illusive for a lot of reasons but definitely because it seemed "iconic" and "epic" but also mysterious at the same time and matched the vision of our branding well. There definitely was a very conscious effort made to put together a professional image and the name had to be one of our top priorities if we were going to achieve that. As far as the meaning behind the name "Illusive" it really just means "deceptive" which went well with how Mason and I had both been feeling more and more over time the last 8 years or so. Him and I go way back and share a lot of the same views of the world and have had some pretty similar tragic life experiences so to us it seemed perfect in that it describes how so many of the things we are taught in life to believe in are actually very deceptive and misleading. It seems like human beings are always finding new ways to mystify the world we live in instead of facing reality no matter how harsh it can be and unfortunately that causes a lot of problems we see manifest all the time. We've become very disillusioned to so many things normal people very blindly and a lot of the time unknowingly believe in. Illusive seemed like the best fit so we ran with it. 2.What drew you to the metalcore sound? Metal has a very dramatic sound to it. Its one of the few genres that is as expansive as it is. There is so much room for experimentation because as long as you've got a beefed up metal sounding drum kit, a big high gain guitar tone, and a smooth yet clanky bass tone you can do just about anything and it'll make whatever you're doing sound so much more powerful than any other genre. And that's not to bash any other genre. One of the greatest things about metal is how well other genres blend with it and that has been proven over and over again by many acts before us. As a vocalist with a lot of pent up negative energy inside of me it is the best outlet for letting it all out. Metal for me is the best language for conveying feelings unique to my sorrowful life experiences thus far that sometimes words can't do justice for and I know its the same for all of us in the band and probably most people performing in the industry. We've known each other for almost 15 years at this point. We were in and out of projects together over the years. 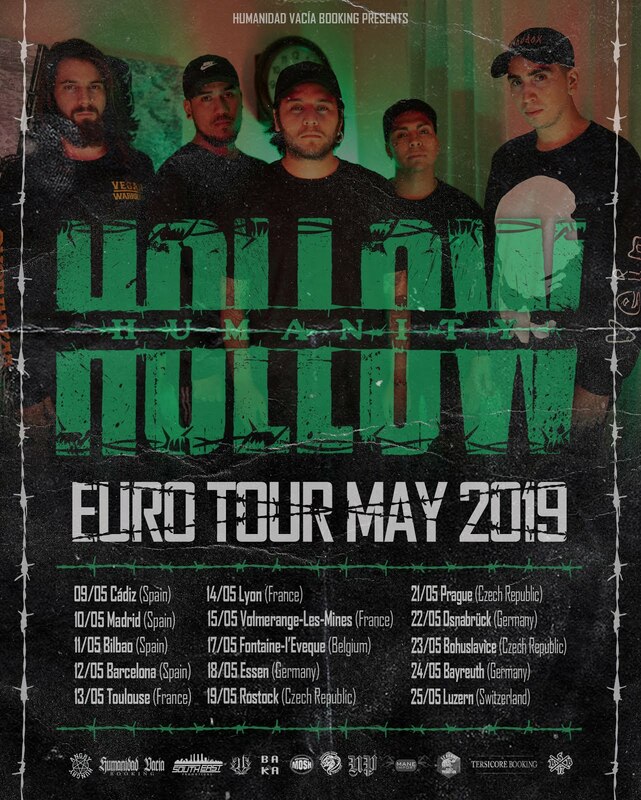 We met our bass player Travis in high school and stayed semi connected with him over time and only more recently when we really got the ball rolling with Illusive did we really reconnect with him. He's hugely responsible for a lot of the things we've been able to do with the band and we probably would've sank without him given our constantly dire financial circumstances. After Mason and I had a short falling out with each other right as Illusive was getting started he met Luis our current drummer and started demoing out some stuff until we later reconnected. Believe it or not, Luis has been pretty involved with the NASCAR scene and has driven cars around racetracks exceeding speeds of 200mph. He's insane! And an amazing and adaptable drummer. We had a few different people join here and there until we found our comfortable four piece line up. 4.Each band member's favourite band? I wanna say my favorite band at the moment is probably either Don Broco or Veil of Maya but the band that I really looked up to and inspired me the most would have to be Horse The Band. They're the most insane band I've ever seen live and they never sold out their musical integrity for anyone and I always admired them for that. They wrote very honest music without selling their souls to the music industry and were somehow still able to make it and tour the world. I know mason is super into bands like Periphery and Tesseract, Travis is a huge long time fan of For The Fallen Dreams, and I remember in another interview we did Luis saying Motionless In White was probably his top pick. I like the idea of creating something that no one has ever heard before. It was always bands that had some element of shock value that got me excited. I love the feeling of my jaw hitting the floor when I heard something either totally mind bending, emotionally relatable, or thought provoking in some way and the idea is for us is to carry that torch and create our own new brand of exactly that. The last few shows we played were at our home turf venue Chain Reaction in Anaheim California. We love that place. We grew up seeing shows there since we were kids practically. We also love the staff at that venue. Its a really special place for us. 7. What's your dream venue? I'd really love to play a massive outdoor festival some day. I have always liked them much better than venues for some reason. They've just always seemed epic to me, especially when the stage is really big and you get to play your songs for a sea of people. One venue we haven't played yet is The Observatory in Santa Ana out here in California. I've been there a few times and I really like it there. I played the Glasshouse in another band once and that is also a very nice venue I'd like to play again but this time with Illusive. I think that would also be pretty cool. 8. Dream tour line-up ? Dream tour would still probably be Horse The Band. They did this self booked 90 day world tour where they traveled everywhere they ever wanted to go and documented the whole thing. They have 6 hours of footage uploaded to YouTube and those videos really drove me to get a band together so I can eventually tour. Their tour wasn't just going from venue to venue like most tours are. They always went off the beaten track and had adventures and looked like they had a lot of fun doing it. I'd accept an offer to do a second world tour with them in a heartbeat. That would be the dream tour. I know for Travis it would still be For The Fallen Dreams, for Mason it would be Periphery which would be cool for me being an aspiring producer and mixer because I happen to really look up to those guys, and for Luis it would probably still be Motionless. 9. Have any of you ever suffered from stage fright? Any tip for beginners on how to beat that? The only time I ever suffer stage fright is when I don't feel prepared. If you're prepared and have done it over and over again successfully before hand there shouldn't be anything to be worried about. I know some people have a lot of anxiety even when they are prepared and that can just be a general social anxiety thing. The best medicine for that is to force yourself to suffer through it the first few times. There really is no easy way around it. I think if you suffer through it a few times successfully your brain will get reprogrammed with those new experiences that will eventually overtime replace the old notions you had about performing being this big scary thing. You'll realize really quickly that no one is actually making fun of you or judging you. Most people will actually admire your courage to get up there and do it and to the few people that might be thinking something negative or have something hurtful to say, f*** them! Don't let them shackle their hurtful words to your ankles and hold you back from achieving your fullest potential. You will improve as time goes on and get better and better. It takes a lot of guts to get on stage in front of people so be more proud of yourself than worried. I fortunately have a huge background in performing in the entertainment departments of the theme park industry. I've done many things for both Disney and Universal already so I'm very used to being in front of crowds at this point. I say go for it! You can do it. Just make sure you're prepared. 10. Can you tell us more about your track"Divides"? Divide was the first track we ever had produced and mixed professionally. It was actually written at a point when I wasn't even in the band and we weren't even going to use it but we all liked it so much we decided to roll with it and record my voice on it. I did though have a lot to do with the post production on that song. We used the second opportunity we had in the studio to be creative with it and I think it became even better than it was. We put a lot of work into that song collectively and its probably my favorite track to play live. As for the meaning behind the song, its about crumbling in a place of isolation and avoidance of the outside world due to traumatic life experiences and becoming further disillusioned and detached from your own culture and society. The word "divide" just signifies the wedge between you and the outside world. It was definitely one of our most popular tracks between us and all of our friends so we decided to shoot a video for it with Director Marc Liscio who has shot videos for So This Is Suffering, Signs of the Swarm, Within Reach, and even helped with a The Plot In You video. 11. How does it compare to your previous single? Die was produced after Divide with the same producers Timothy Hern and Gage Renn of Sirian Productions down in Lake Elsinore here in California. They're a very close tie in my opinion. The only reason I side with Divide overall is because when we decided to use it, it was redone after Die and I had substantially improved as a vocalist and tracked a better performance. There is a lot I felt like I did right in Die but there are some things I really wish I could go back and change every time I hear it whereas in Divide it seems more seamless the whole way through. We actually shot a video for Die with another director but it did not come out looking right at all. I tried to salvage the footage myself with a new edit but even with a far better edit I couldn't reconcile the bad camera work so we decided not to use it. We may release it at some point in our careers with a bunch of behind the scenes footage from it if we can catch a fair amount of traction and people seem to care. Maybe we'll make it a perk for an album preorder and title it "failed music video lol" or something like that. 12. What can we expect from the upcoming EP? The EP cost us a lot of money. We initially tried out a different producer for the EP who's name I won't mention other than that he has the same name as a football team. I'm not joking lol. He turned out to be really really sketchy and we lost a bunch of money from that whole experience. We ended up going back to the only reliable and affordable producers we've worked with, Tim and Gage and reproduced the whole EP with them. They were sympathetic to our situation and put a lot of work into that EP on their end and we couldn't be happier now. So much was put into these 5 songs I couldn't barely sum things up. Just the experience with two different producers (assuming you count Tim and Gage as one) and having a second opportunity to produce it honestly made it better. Tim runs the engineering side of things between the duo and him and I have a fantastic relationship in regards to tracking the vocals and we were able to get so much done very quickly and he understands us very well in the post production process. We have very good communication and he's super patient with how nit picky we tend to get about the songs. So shout out to Tim being on the front lines with us in the studio. We really love both those guys. The whole thing was actually recorded in drop A whereas the singles were done in G so that definitely shaped the character of the songs to be a bit different from what people might initially expect. Track 4 has a guest guitar solo from guitarist Chris Wiseman of the bands Shadow of Intent and Currents which was also pretty damn cool. The songs are even more chorus driven and catchy and we have plans to reshoot a music video for one of the tracks on it. Yes yet again we have to redo something else like always. Anyway, I'm very excited to see what people think. We appreciate any support we get and we really hope to see some new faces coming to our upcoming shows. We have a free show at Slidebar in Fullerton with Dayseeker on February 21st and a show at Chain Reaction in Anaheim with Secrets on April 27th. We hope to see you there!